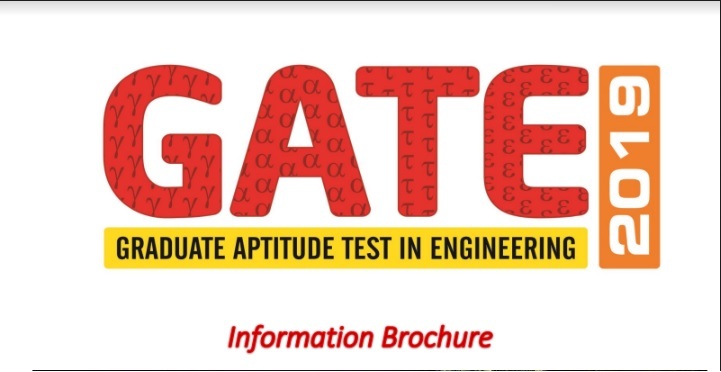 IIT Roorkee Organizing Graduate Aptitude Test in Engineering (GATE - 2019) Examination scheduled to be held on 2nd, 3rd, 9th & 10th of February 2019. Qualifying in GATE is a mandatory requirement for seeking admission and/or financial assistance to (i) Master’s programs and direct Doctoral programs in Engineering/Technology/Architecture and (ii) Doctoral programs in relevant branches of Science, in the institutions supported by the MHRD and other Government agencies. Even in some colleges and institutions, which admit students without MHRD scholarship/assistantship, the GATE qualification is mandatory. Further, many Public Sector Undertakings (PSUs) have been using the GATE score in their recruitment process. The GATE 2019 score is also used by some Government Sector / Several public sector undertakings (PSU) organizations for their recruitment. Application Fee: Rs. 750 for women candidates, Rs. 750 for SC/ST/PwD category candidates and ₹ 1500 for all other candidates. For International candidates application fee is US $50. Dubai and Singapore US $100.